You can’t build lasting muscle mass if your body is lacking key vitamins and minerals that your cells need for basic hormone synthesis. 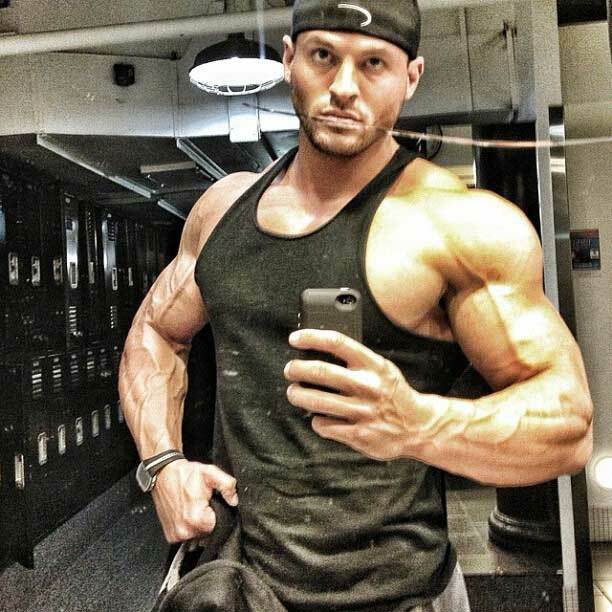 As a bodybuilder, you will always need to take a daily multivitamin product to take care of your essential needs, so you can make maximum progress from your steroid cycles. Taking expensive steroids and skipping out on your daily multivitamin is just plain stupid. Your body can’t build mass or burn fat storages if you are lacking basic minerals and vitamins necessary for survival. 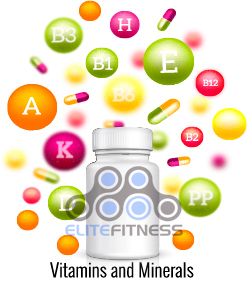 Below, I will tell you all about a great multivitamin product that all of my EliteFitness.com forums members just love. 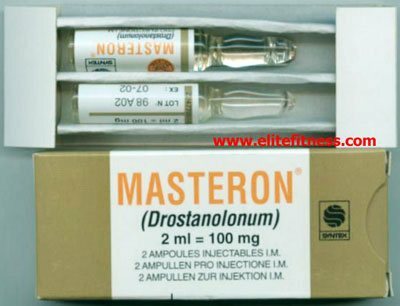 It was specifically formulated for the bros that take steroids, just like you. It’s a pretty inexpensive aid for a steroid user too, costing less than $17 for a 30-day supply. 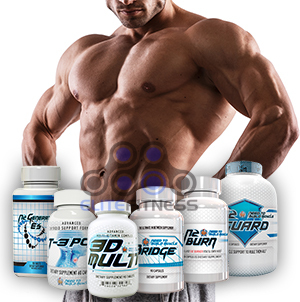 For many years, bros have been wondering what is the perfect multivitamin product for the bodybuilder on steroids. Your body will experience many issues with toxicity while on an oral steroid cycle, so you need a strong product like N2Guard. It’s very hard to keep your body safe from oral steroid use. So, a potent formulation is completely necessary for this purpose, and N2Guard has you covered. For the athlete who’s “off” steroids and may be only using a tiny amount of Testosterone as a “cruise”, without any orals, you may not need all of that big N2Guard power. You can save some cash and get a product that’s made for bodybuilders to take during that “off” period. N2BM Nutrition, the same developers of N2Guard, have created a smaller, much more economic multivitamin product to fill the needs of the bodybuilder who’s NOT on steroids. 3D-Multi is the multivitamin product for the steroid user during the time he’s not taking steroids, and thus would not need something as powerful as N2Guard. However, don’t be fooled into thinking that 3D-multi is a weak product, because it’s actually a very potent supplier of the key nutrients your body needs. Below is a breakdown of the 3D-Multi formulation. A: 15000IU - Healthy teeth, eyes, skin, and growth and development. C: 500mg - Strengthens blood vessels and helps stretch the skin. Also, a great antioxidant and immune system booster. E: 60IU - Blood circulation and free radical protectant. B1: 20mg + B2: 30mg + Niacin: 30mg + B6: 20mg + Pantothenic acid: 25mg - All help convert carbs to fuel for energy. Folic Acid: 400mcg - Cell renewal. B12: 200mcg - Helps maintain nerve cell health. Biotin: 75mg - Metabolizes carbs, fats, and amino acids. 3D is also full of minerals. Without minerals, our bodies cannot build muscle, strong bones, help teeth, blood, skin, hair, and our bodies’ overall functions. Essential minerals found in 3D-Multi cannot be produced by the body, so if we don’t get enough, we will struggle to recover and progress with our fitness goals. Like I said earlier, it’s a stupid waste of your money to take a Steroid, or SARM, or Testosterone Booster and not provide your body with the minerals it needs to take full advantage of the elevated androgen levels. You’re losing money on these drugs every time you take a dosage of some anabolic agent, but your body lacks basic minerals. This is why N2Guard and 3D-multi are both packed full of essential minerals. Calcium 200mg- Strong bones and teeth. Iodine 150mcg- Needed for a healthy thyroid. Magnesium 125mg- Regulates protein synthesis, muscle and nerve function, and blood pressure. It’s also required for energy production. Zinc 10mg- Boosts immune system and wound healing. Selenium 50mcg- Helps make antioxidant enzymes, which prevent cell damage. Copper 2mg- Prevent heart and bone problems. Helps form red blood cells and iron absorption. Chromium 200mcg- Regulates blood sugar. Molybdenum 100mcg- Helps break down amino acids. Potassium 75mg- Very important electrolyte. 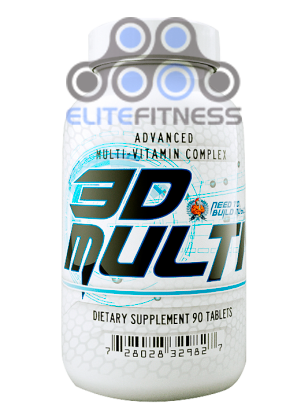 3D-Multi also has additional ingredients that you likely won't find in other supplements to go along with the above vitamins and minerals. Choline Bitartrate 25mg- Improves cognitive performance and mental capacity. Inositol 30mg- Prevents depression, promotes hair growth, sleep, and even fat loss. Boron 3mg- Helps balance estrogen levels and other minerals. Silica 10mg- Prevents wrinkles by increasing collagen and also helps absorb calcium. Organic horsetail 225mg- Helps with kidney health. Vanadium 50mcg- Treats diabetes, heart problems, anemia, and edema. FOS 200mg- Helps encourage healthy bacteria in the stomach. Odorless Garlic (Allicin) 100mg- Used for hypertension, inflammation, and infections. Green tea 30mg- Full of powerful antioxidants. Glycyrrhiza powder 30mg- Great for depression and stomach problems. Also reduces inflammation. Rosemary extract 75mg- Digestion, liver, and appetite booster. Freeze-dried broccoli 100mg- Helps prevent many types of cancer, boost digestive system, detoxifes, and is full of vitamins and minerals. Freeze dried tomatoes 100mg- What is the most common universal problem with men? Answer: Prostate, and those microscopic cancer cells can be there for many years with no problem. But what makes them dangerous is that if they have access to blood supply, they’ll fire up. The Lycopene contained in the tomato will create an environment where blood vessels won't grow into the cancerous prostate cells. We know tomatoes are the best source of lycopene. And when you use 3D-Multi, you aren't getting some synthetic crap; you’re getting an actual whole tomato that was freeze dried. Lycopene has been shown in research to prevent cancer cells, specifically at the prostate, from being able to develop strong blood vessels and from being able to feed itself. When you use anabolic steroids, your prostate will especially swell and grow, thus putting you more at risk for these issues. 3D-Multi has lots of lycopene via freeze-dried tomatoes, so when you use it daily your prostate will thank you. Freeze dried parsley 30mg- Natural diuretic, which fixes bloating, helps with kidney stones and UTI's, and helps fight cancer and bad bacteria. A big problem that weightlifters face is the inflammation caused by small, nagging, overuse injuries. We all have been hobbled by a funny ankle, knee, elbow, or shoulder that just didn't feel right. Well, an ingredient found in 3D-Multi, which is Freed dried celery (30mg), is one of the healthiest foods that we simply fail to eat. Celery has a lot of polysaccharides like apiuman, which specializes in providing anti-inflammatory benefits. The nice thing about this being in celery is that it also provides anti-inflammation benefits to our digestive tract itself. This will help flatten out our stomachs and cut down on bloat. This is another example of ingredients not found in your typical cookie cutter multi! Take 3-4 tablets daily with meals and plenty of water. When should You Take 3D-Multi and when should You Take N2Guard? 3D-Multi is for when you’re taking time “off” from steroids, or maybe just cruising under 150mg of Testosterone per week. If you are just training natural or taking a testosterone booster like HCGenerate, or maybe just running a tiny dosage of Testosterone, then, yes, 3D-Multi is perfect for you. 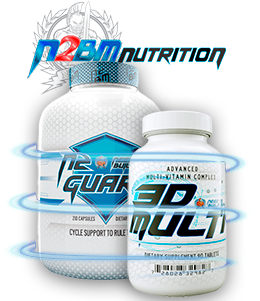 3D-Multi is for the bodybuilder during that time “off” where he won’t need the full spectrum of protection and cellular regeneration matrix of N2Guard. Sorry bros, but a regular multivitamin off the shelf won’t do for a real athlete or bodybuilder. You instead need to use 3D-Multi if you are serious about training and pushing your body to build more muscle and burn fat. N2Guard was formulated to be the ultimate “on cycle” support product, the one to take when you are using high doses of injectable steroids in the 250-500mg per week range and beyond. If you are taking ANY amount of oral steroids or SARMS, then N2Guard should be mandatory to help prevent you from toxifying your system with metabolites from these drugs. When you are “on” a steroid cycle and really pushing your body’s potential for growth to the limit, N2Guard is the product you really need to be using. For any other time, there is always 3D-Multi. What is the best MULTI vitamin supplement for bulking? Whats d spark and ruthless 3d like from n2bm? HCGenerate is strong enough for use in Post-Cycle Therapy.